Defending British champ Thomas Dean has scratched out of men’s 400 IM prelims heading into the third day of the British Championships. Check out these stellar swims from young British stars Sophie Yendell in the 50m fly and Kayla Van Der Merwe in the 200m breast tonight in Glasgow. Molly Renshaw dipped under Britain’s selection time #2, so it’s probable she will represent the nation this summer at the World Championships. During the final of the women’s 400 IM at the 2019 British Championships, Katie Shanahan broke Hannah Miley’s Scottish NAG record for the 15-year-old age group. As Adam Peaty tries to take another gold in Glasgow in the men’s 50m breast James Guy will set himself up for a 200 fly World Championships bid. 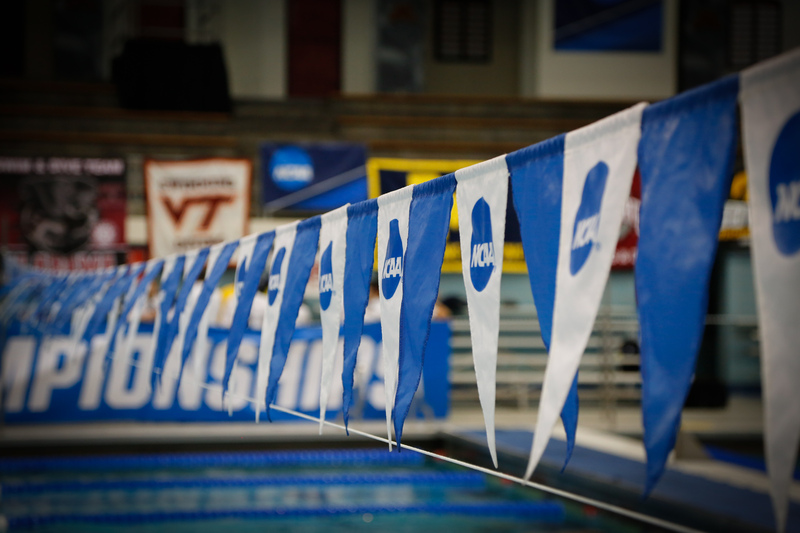 This “Shouts from the Stands” submission comes from Grady Ottomeyer, a swimmer at Auburn. I’m going to be honest here, I thought that having the words “Student-Athlete” on my resume would carry me straight to the front steps of my first job. Well, newsflash, it’s not that simple. I’m not sure where I got this false sense of entitlement from, maybe it’s the priority class registration. Anyways, I have probably heard the phrase “You don’t have enough experience,” or something along those lines, more times than I can count. Obviously, this is quite frustrating to hear since swimming doesn’t have an off-season; our college season lasts a minimum of seven months and the summer season (where we train for Nationals and Olympic Trials) begins directly after. For me and many others in my sport, acquiring an internship and maintaining our necessary training schedule proves extremely difficult and really isn’t a viable option if you wish to compete at the highest level. Yet when it comes time to hang up the speedo and find a job, not having much professional experience is a real roadblock. Dedication: Every student-athlete is incredibly dedicated to achieving success in their sport. You need to be in order to endure two-a-day practices, weight sessions, dietary training, rehab, injury prevention, and all other things required to ensure success. The athlete must also compete in the classroom with people who are not spending countless hours away from their studies. This requires athletes to better organize their time in order to get things done. Drive: That rare ability to go beyond the dedication and drive oneself to be better each and every day. It is not hard to know how that translates to a career outside of sports. The drive to excellence benefits the entirety of the human experience, not just sports. Desire: To achieve the level of excellence that is required by collegiate athletics, you must first desire to get there, probably as a small child. If you have the talent, that sense of Desire is what gets people up at 4 am to start their workout routine. No desire, no success. Sounds to me just like what happens in the workplace. Determination: Determination is similar to the traits mentioned above. It is that inner-self that speaks to an athlete at the moment most people would quit from exhaustion and compels them to the finish line. It is required in every sport and in every walk of life. Student-athletes are innately able to pull from deep within to give that last bit of effort. If my employees were all willing to do that, our company would be bigger and far more successful. It is not their fault as such few people have such a “reserve tank” and the confidence to use it. Discipline: Athletes know that they have to stay on task, even when the distractions are many. The ability to stay disciplined and not go to every party, or stay out late, or get drunk with friends is what sets them apart. Each of the above characteristics is what I will label as “Work Ethic Traits.” They are required and they must be innately within a person if they are going to withstand the rigors of training and teamwork. But there are other traits which I will call “Character Traits” which are equally important. These go to the heart and soul of an athlete. They are what allows them to accept that they have been given a special gift and it is not something to toss away lightly. Dependability: Most athletes are members of a team in some sense of the word. Each player fully depends upon his or her teammates to carry their share of the load to get across the finish line. Even if the individual action seems to be that of just one person, if they don’t perform, the team cannot win. Could there be any stronger relation to business than that? If one member fails to do their part, the job can’t get done. Dignity: Athletes must have a sense of pride in themselves that rings true to their very core. Doing it the right way, each and every day – not cheating, even if it could be done without detection. This is what stellar athletes do, and it carries through to the entire lifetime. Maintain your dignity and you maintain your sense of worth. Decency: Finally, there is decency. While I cannot say that all athletes are decent people, most of the ones that have passed through have been very decent. The exceptions prove the rule. So while we hear about the cheaters and dirty players, they simply remind ups of how many are decent human beings and just put their head down and do their job for their team. Show me a decent person and I will show you a winner. Hey there, me again. My hope is that at least one person out there is able to gain the same motivation and inspiration that I did. I, for one, have never read more reassuring words. While some of us may be lacking in the internship department, I think it is worth noting that the above eight traits have been engrained in us from the moment we made the decision to continue our athletic careers in college. These skills and personality traits will stay with us our whole lives and will no doubt express themselves in our careers. Lack of experience is only a matter of time to resolve, but the 8 D’s, well those are special. Originally from Phoenix, Arizona, Grady Ottomeyer started swimming when he was 10 years old as a member of Phoenix Swim Club. After graduating Brophy College Preparatory, Grady made the decision to swim at the collegiate level and went on to compete for Auburn University. He recently finished up his final season for the Tigers and is preparing to graduate in May with a degree in Marketing and a minor in Finance.